As more and more photo enthusiasts embrace post production, it becomes increasingly important to ensure consistent density, tone, and color rendering. In order for your prints to match what you see on your screen at home, CDM recommends that you calibrate your screen regularly. The image provided on this page is especially designed to allow you to approximate your screen’s performance. The three circles at the center of the image should be white, gray, and black, wihout any trace of a color cast. The images on the right include neutral skin tones, and a neutral gray background. For added accuracy, CDM recommends the spyder family of products to calibrate and maintain your screen’s performance. We offer the entire range in our store. If you want to ensure consistency from your software to your screen to our photolab, you can ask for a printed copy of the image at our counter. You can use this image to compare the file with an actual print. 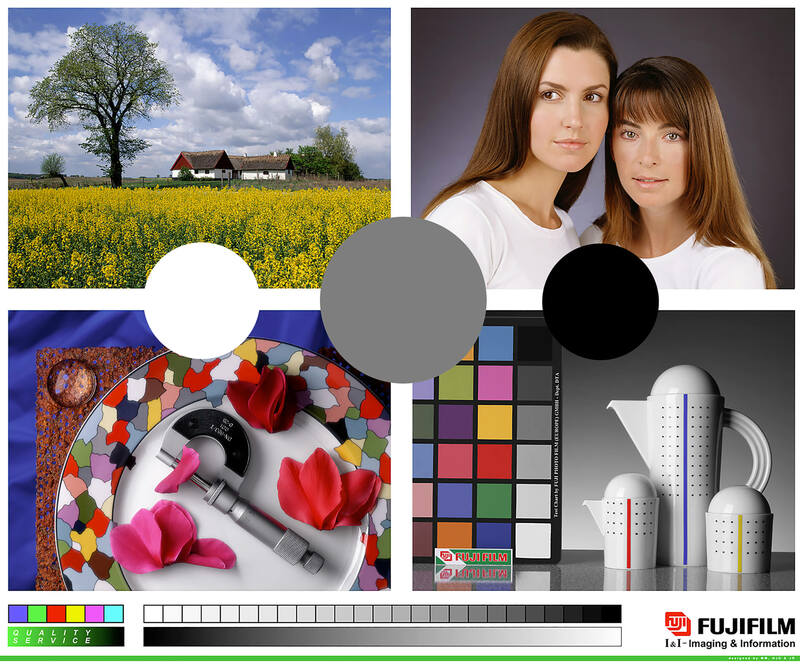 In addition, for critical color adjustment, please send a message to our lab, we’ll gladly return you the optimal ICC profiles and other technical data for our printing equipement. You can inpout these settings to your editing software for maximum accuracy. Click here to see our calibration image in high resolution. Once the image is dispayed you can right-click and download the file.